Today I received the Quality and Renewal 2017 (Q&R17) report from the project team. It’s a weighty tome, running to more than 700 pages. This afternoon it will be presented to the University Board, which will begin its strategic discussions at the autumn overnight conference. I can’t imagine a better basis for discussion. This is the third time Uppsala University has conducted a comprehensive review of its research, and this time there has been a special focus on strengths and weaknesses in our research environments. The report is the result of a major effort that has involved almost the entire University. Q&R17 is part of the University’s systematic quality enhancement efforts. We have had broad participation, analysing our own strengths and weaknesses in a critical and forward-looking manner to produce the best tool for improvement and development. We have also enlisted the help of 132 critical friends and eminent colleagues from all over the world, who have generously taken the time to examine our environments from an outside perspective. Work on Q&R17 began in February 2016. The project team has been working for nearly two years. The report is based on questionnaire responses from some 3,700 active researchers, bibliometric analysis and other key indicators, self-evaluations by the departments and reports from 19 panels of invited external reviewers. We have learnt a lot along the way. Many colleagues in Sweden and around the world are curious about the results but also about the process. It will be interesting to follow what happens now when the results reach the departments and research teams. 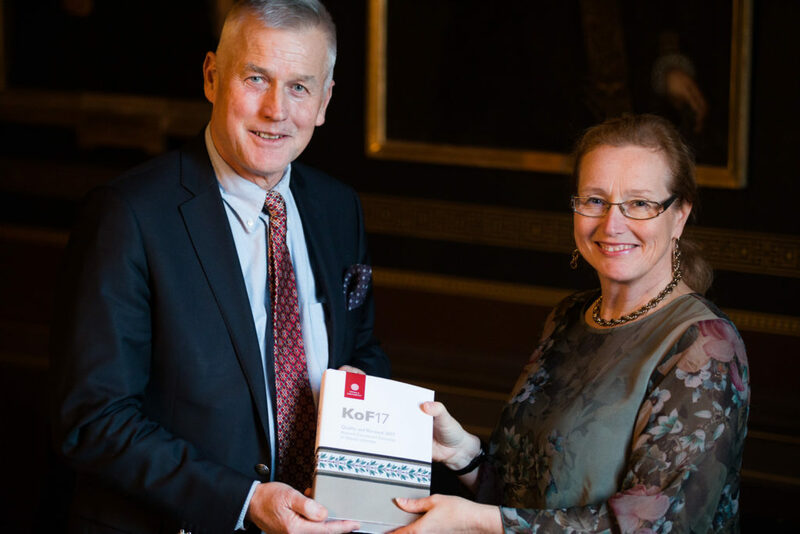 I would like to say a big thank you to everyone who has contributed to Q&R17, particularly Deputy Vice-Chancellor Anders Malmberg and the project team, which has consisted of vice-rectors Anna Singer, Marika Edhoff and Mats Larhed, and to the secretariat of Camilla Maandi and Åsa Kettis of the Division for Quality Enhancement. And to all the researchers and heads of department throughout the University for your time and great dedication. And to the divisions at the University Administration and the University Library that have been deeply involved in the project. And thanks to all our critical friends as well. Download the full report from DiVA.